My first experience drive a PICKUP! In my country, people don’t drive Pickup often as people in the US do. I didn’t have a chance to drive a Pickup in my life. But things different for this winter break. 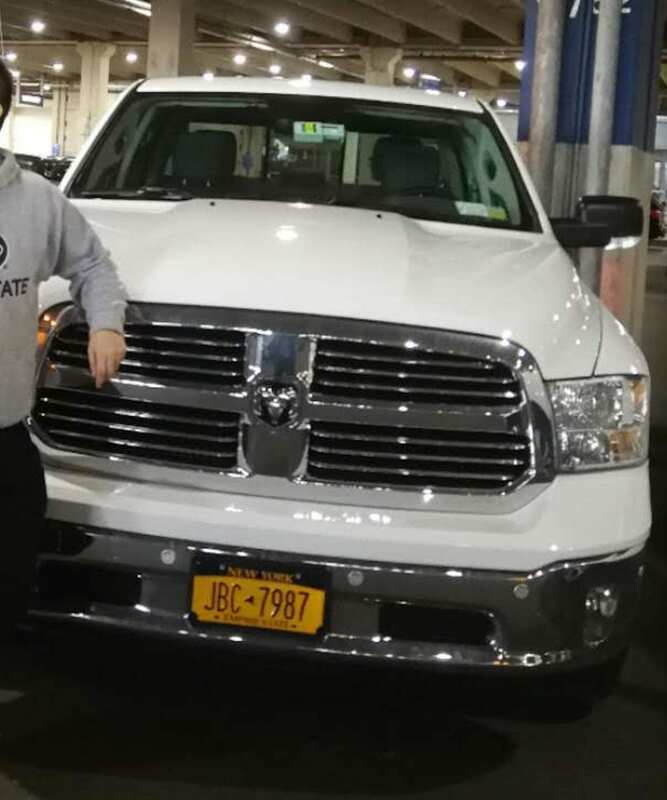 My friend rented a pickup for a long distance journey during this winter break. It is exciting for me because I love cars since I was a child. I have experienced different kind of cars like the sports car, SUVs, convertible, coupe, etc. I never have a chance to drive a Pickup in person. When I just saw this giant Pickup, I can’t wait to test drive it and make a picture with it. It is my first experience driving a giant car like this. It is super comfortable! The handling and posture are quite good! Soon we have a long distance trip with this car. I found every car on the express become much smaller. Escalade was the huge car to me, but now it seems much smaller and shorter. It is my dream to go a long distance trip with a Pickup like the Video shows. This kind of travel gives me the feeling of infinite possibilities and unlimited freedom. I can go to any place I want to go and do what I want to do. The huge space of the pickup allows me to bring all the things I want to bring. I hope that one day I will open a pickup truck to travel around the world. This entry was posted in Uncategorized on January 18, 2019 by Wencong Wang.